Maybe you’ve moved into a new home, or you’ve been at your current property a while, but looking out onto your front garden, all you see is yards of driveway. Yes, it’s useful, although it isn’t that pleasant to look at. You’ve got dreams of doing something much more exciting with the space, but where do you start? Here’s our rough guide to creating a front garden from scratch in a heavily-paved property. Whether you’re keen to put your stamp on the house or desperately want a new view, it’s important to think carefully before you start getting the diggers in. 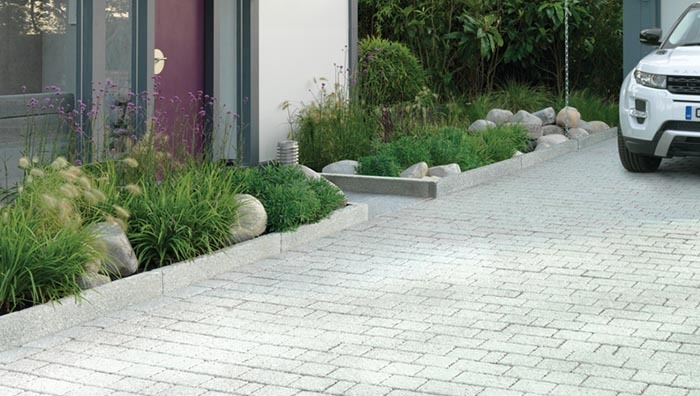 Is a driveway in your front garden something you need? Is it useful when friends and family visit? How many people might use your driveway at any one time? Before you go in on all fronts, consider teaming up with a garden designer. Having a safe, off-street paved area for parking can be a valuable asset when it comes to the perceived cost of your property. They are useful and can look attractive, so don’t be too quick to get rid of it entirely. Consulting a garden designer or hard landscaping expert is essential if you decide to remove some or all of the current driveway paving you have. Depending on the surface material, you may need specific tools to break it up. You’ll also have to arrange removal and disposal, so advice from an expert can help you avoid any expensive mistakes or unnecessary labour. If your plans include greenery, vegetables or flowers in your front garden – and we’d always recommend including some flora to brighten up the space – then you’ll need to work on enriching the ground underneath your previously paved garden. Most driveways are built on bed of poor quality soil or aggregate, which is compacted to provide an even surface. The top layer and this sub-layer needs to be removed before you begin planting, and the compacted surface should be broken up – that means lots of digging! You can then improve the soil underneath with compost, mulches and a layer of new, rich topsoil. 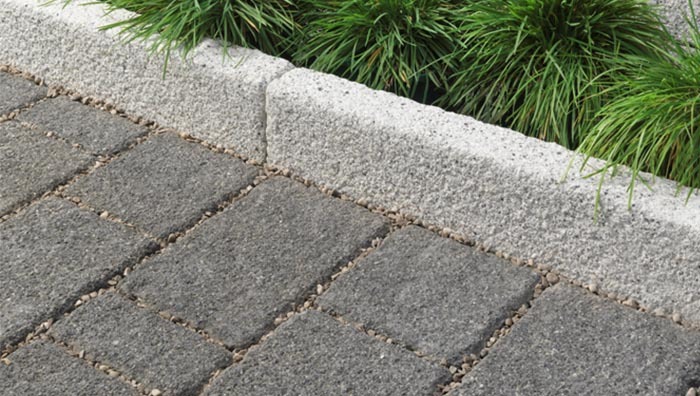 Talk to your garden designer or landscaping expert and see whether it’s worth keeping your existing paved surface. If it’s old, in poor condition or impermeable they may recommend redoing it so it looks more attractive, is safer and doesn’t have a negative impact on the surrounding environment. 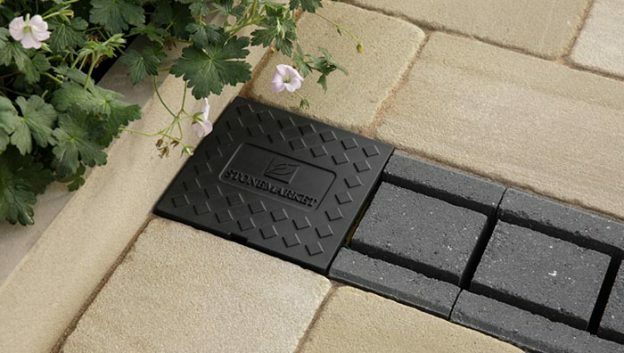 A permeable paving block might be one solution, which allows for water run-off, or your designer might recommend something attractive but hard-wearing, like natural stone block paving, with sufficient drainage. If you’re looking for a quicker fix to your paved front garden, consider investing in repair work for any unsafe areas – for example, resetting any loose paving slabs. Set aside some time to thoroughly weed the garden if it’s needed, and hire a pressure washer to clean the surface; it’ll make a huge difference. You can also build a garden on top of a paved surface by using raised beds made of sleepers or stone walling, or planters, hanging baskets and tubs. There are lots of flowers, herbs, vegetables and ornamental plants which have been bred to thrive in smaller spaces, so you can still flex your green fingers without pulling up the whole driveway. It’s simple to create an appealing and welcoming front garden from scratch. Keep your essential needs in mind, check in with an expert designer, and consider the balance between green space and practicality. For more inspiration, check out our four steps to making your front garden functional and beautiful.